Castle Flour Mill, Messrs Walter Green & Sons. 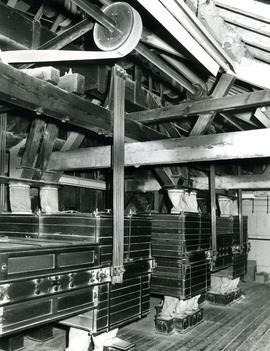 A roller mill.Third floor showing plan sifters. 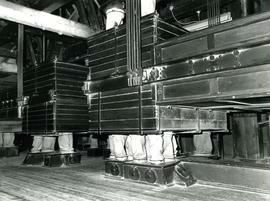 Taken by Guy Cornwell when revisiting the mill his family once owned.